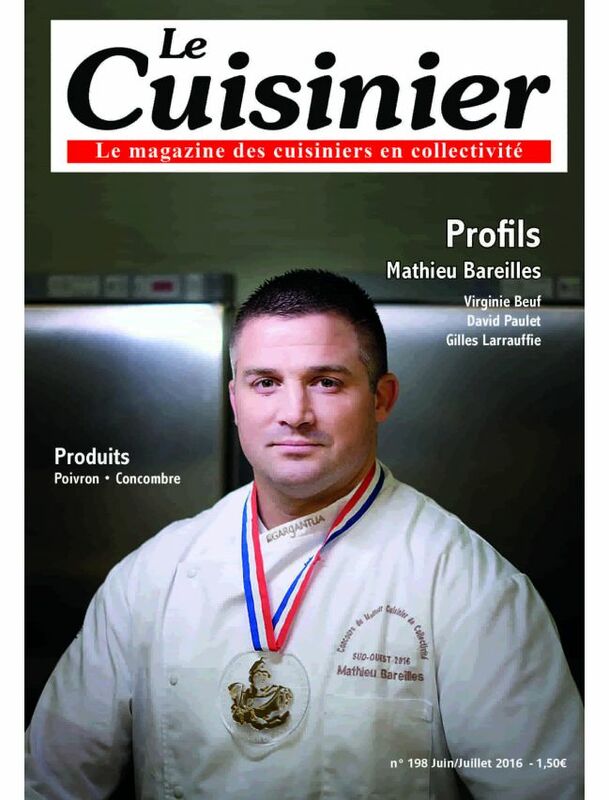 Le Cuisinier is the only professional magazine which is in the heart of the kitchens of collective caterings in France. The magazine is published 9 times a year. It provides practical and lively information on products, recipes and equipment. There are also articles about portraits of chefs, field reports and focus on products.